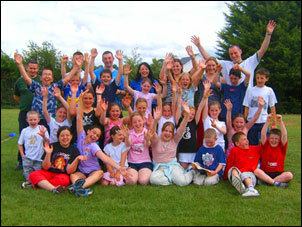 Exodea Europe has developed considerable expertise in the needs of children and young people in contemporary society. We have acquired our knowledge through undertaking detailed research and evaluation projects on behalf of a range of sector-leading organisations, such as Barnardos and the Irish National Adult Literacy Agency (NALA). We have developed methodologies to engage young people in the process of positively contributing to strategic planning exercises on behalf of a range of organisations. We have also devised strategies to enable young people to become involved in the planning of youth facilities in many locations across Ireland, including Cork City. We have worked with young people from highly disadvantaged backgrounds, and have ensured that there is an opportunity for all to contribute by giving them the information they need to make informed decisions and contributions. Equally, we have worked with organisations to ensure that they are empowered to listen actively to participating young people and are committed to taking their views seriously.